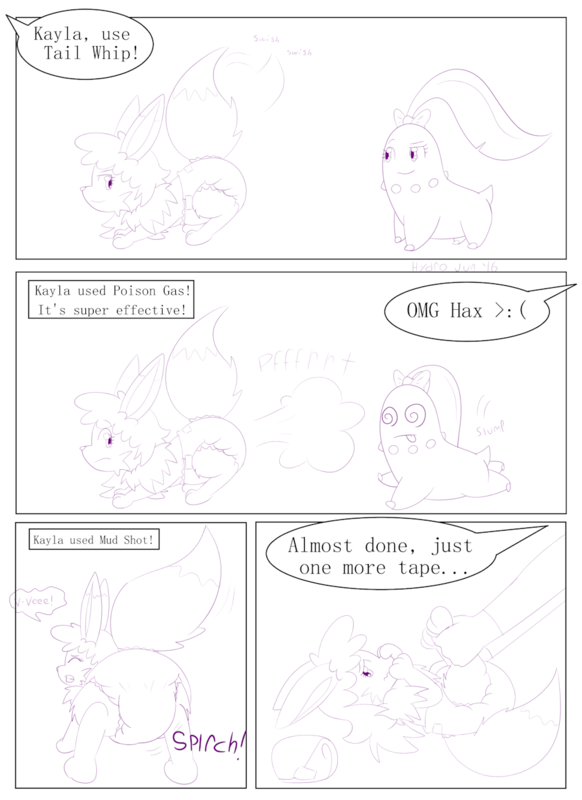 Eevees definitely aren't supposed to know those moves... good thing she had a diaper on at least. Awesome~ I think it looks great. Yay, I'm happy to hear that! Thanks! Who knows? Maybe she'll show up again sometime haha. "Chikorita with a notch in her leaf and a bow" is sort of a mouthful for a name though. This is why we don't see baby pokemon in a lot of fights. Now if only we knew a way to rule out the Big babies like her. silly and adorable.